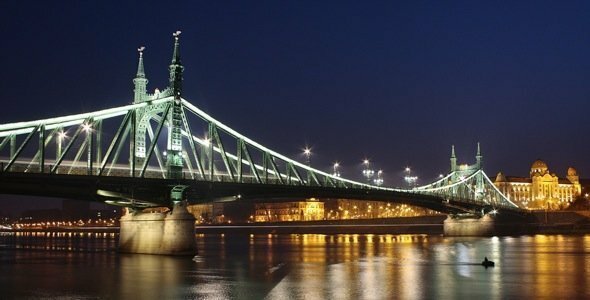 What to see in Budapest? As the keeper of several major attractions in Europe – the largest thermal water system in the world, the first Underground Railroad on the continent, the third largest Parliament building in the world and the largest synagogue in Europe – Budapest has no shortage of things to see. Budapest is a scenic destination brimming with historical treasures. Many of the city’s attractions are recognized as World Heritage Sites. Castle Hill, the Royal Palace, Matthias Church and Fishermen’s Bastion were added to the list in 1987. The Banks of the Danube from Gellért Hill to Aquincum, together with Chain Bridge and the Parliament, was also acknowledged as a World Heritage Site in the same year. Andrássy Avenue, Heroes’ Square and the Millennium Underground were included by UNESCO in 2002. Be sure to add a World Heritage Site to your Budapest sightseeing. Budapest isn’t called the ‘City of Baths’ for nothing. Hungary is a land of thermal springs, and Budapest remains the only capital city in the world that is rich in thermal waters with healing qualities. Budapest is also one of the few places where you can experience traditional Turkish baths dating back to 16th and 17th centuries. If you’re looking to kick back and relax after your recording session, Budapest is the place to be. Take a dip in one of its many famous thermal baths, enjoy a unique spa experience or stay in one of the city’s health spa resorts, and bathe your cares away. There’s more than one way to admire the beauty of the Danube River, the magnificent scenic divider and connector of Buda and Pest. Embark on a relaxing daytime sightseeing cruise that includes a stroll through Margaret Island, or add a romantic touch with an evening cruise that’s accompanied by dinner and dancing beneath the stars. Cuisine is a major component of the culture in Budapest, and the country’s traditional dishes must be sampled in order to truly experience Hungary. The country is famous for its cuisine rich in flavors as a result of centuries of spicing, baking and cooking. Here is a collection of some must-try Hungarian delicacies, desserts and dishes, in no particular order. Your visit to the Hungarian capital would not be complete without tasting the nation’s great wines. Hungary has been a wine growing area since the Roman times. During the Middle ages Hungarian kings sent Tokaji Aszú to other royal courts around Europe, that became known as the Wine of Kings – King of Wines. Have a walk around the amazing 30 km long wine labyrinth, carved deep into a limestone hill with many historic attractions.